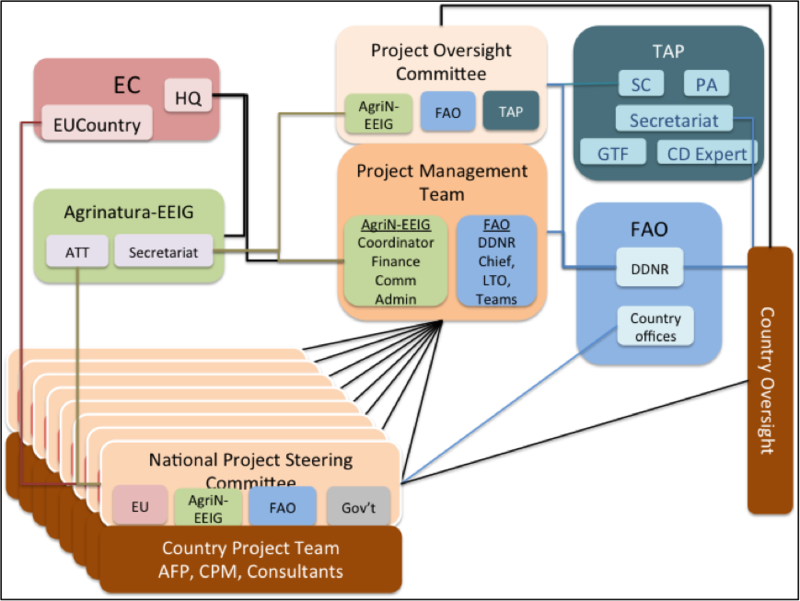 This section provides an overview on the CDAIS project governance, management and communication among AGRINATURA-EEIG Secretariat and its 6 members located across Europe, FAO Headquarters and its regional and country offices in the 8 pilot countries and the EC Headquarters in Brussels and its delegations in the 8 pilot countries and the teams within the 8 pilot countries. 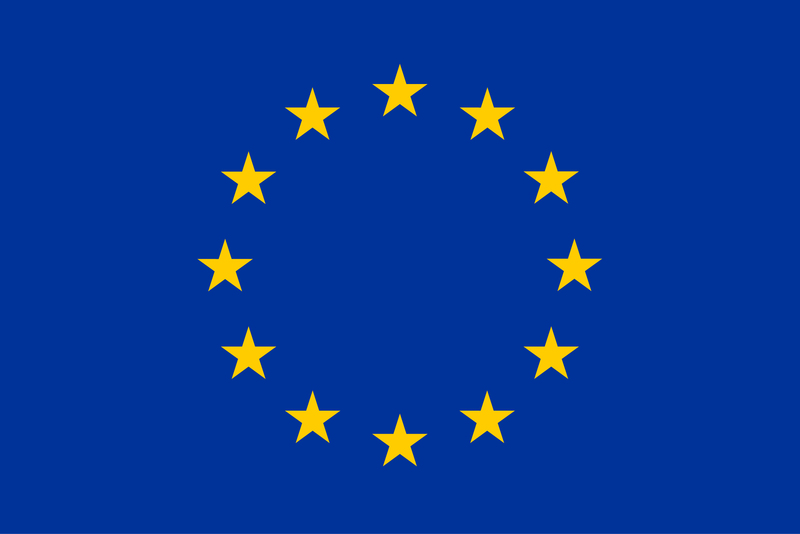 It describes how decisions are made and how activities are coordinated for the effective and efficient use of resources (time, finance and human) as well as the smooth implementation and timely delivery of project activities. 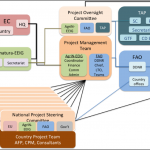 Governance and management teams and units of the project at global and country levels. Boxes are colored based on institutional representations. Black lines are the project communication and relationships.